Supply, Demand and Kanye. What's Up with Adidas Yeezy resale value? Supply, Demand and Kanye. What’s Going on with Yeezys? Yeezy is the name of the fashion brand founded by the one and only Kanye West. It started with limited edition sneakers designed by the man himself and then grew to include pieces of clothing and accessories. For the past decade, Kanye’s growing fame helped fetch him some very interesting and money-making collaborations. And the one that lasted the longest so far was the Adidas Yeezy partnership. It started off with a whimsical and unique design alongside Japanese Streetwear brand Bape in 2007. The sneaker designed was the “College Dropout” inspired by his album then which had the same title. 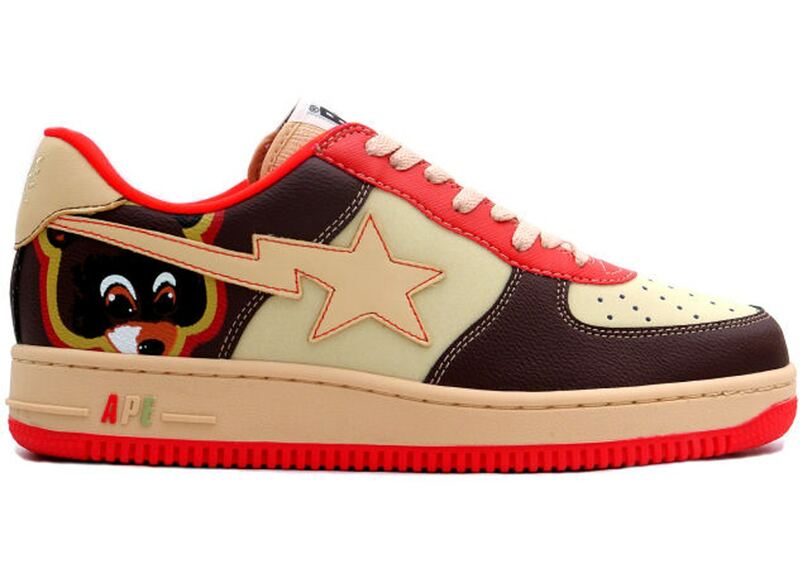 And up till today, pairs of the Bape Bapesta X Kanye West sneakers are selling for an average of $3000. Next, was Kanye’s infamous collaboration with French fashion house Louis Vuitton which took Yeezys to a fancier level. The result was a collection of 3 sneakers, in 10 different colorways amounting to 30 unique kicks. The whole collection was sold at LV locations. 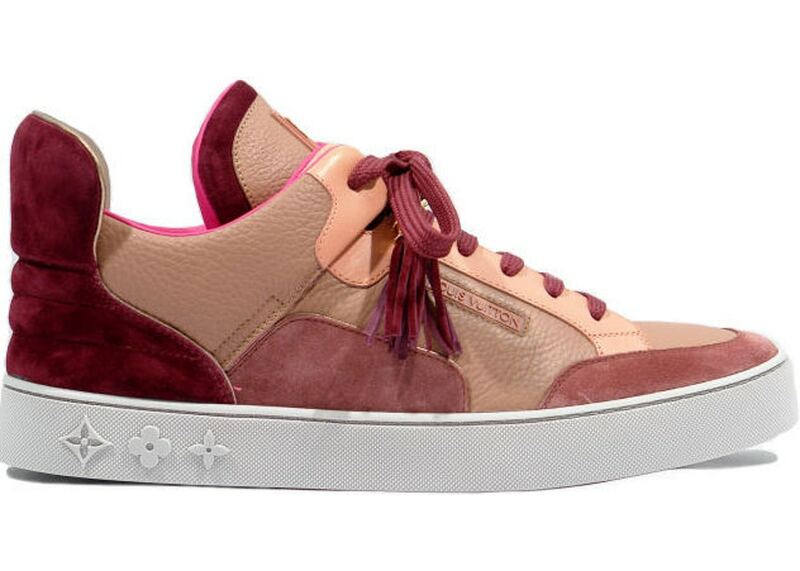 The retail price for these sneakers ranged from $840 to $1140. This massive retail price is quite understandable considering the brand co-creating them. Today, the resale value for these pairs ranges from $2000 to $11000. After his one-time collab with Louis Vuitton, Kanye signed a deal with US top sportswear brand Nike; a deal that was the biggest in the sneaker industry since Nike’s partnership with Michael Jordan. 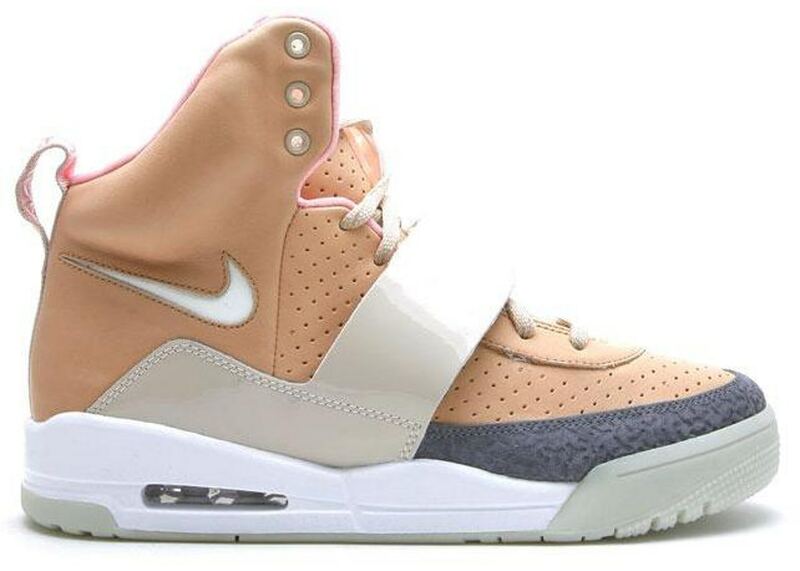 The result of this collaboration: Nike Air Yeezy 1 & 2. It kicked off with the Nike Air Yeezy Zen Grey on April 4th, 2009 and ended with none other than the Nike Air Yeezy 2 Red October, on February 9th, 2014. The total was 6 sneakers in about 3 years. Talk about rarity and exclusivity! Those sneakers retailed at $250 and made thousands of dollars as profit for those who actually got them. And up until you read this, you can still buy pairs of Nike Air Yeezys, if you’re willing to fork up $3K+. So far, so good for Kanye. His first steps into fashion and sneakers were very successful. Besides the fact that they’re his creations, many other factors increase the demand for those sneakers. Sneakerheads aren’t your average consumers. At least not the veteran ones who have been in this industry for decades. They know every tiny detail that goes into the manufacturing of sneakers. So it’s only logical that the more effort and technology put into a shoe, the more attention it’ll gain. 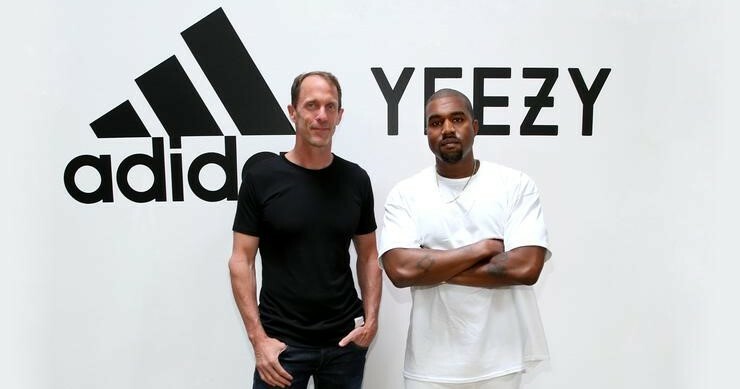 Consequently, Boost technology became a selling point for Adidas Yeezy. However, with the latest Yeezys skipping out on the Boost, what will happen to the economy of Yeezys? Stock level is critical since most sneakerheads are resellers and join for the sole purpose of making money out of their sneakers. Any punk knows that the more elusive an item is, the higher its resale value will be. Hence, rumors of stock level may have an effect on the way sneakerheads cop sneakers. Of course, making big bucks is almost why everyone is in this mess. Retailers, sneaker resellers, bot makers, and proxy and server providers. We all want to make money from Yeezys. So whichever pair makes us more money, we love! There’s this thing about celebrities wearing a pair before it drops that makes everyone go nuts about it. So every sneaker brand has its celebrity brand ambassadors that can increase the hype of any sneaker or piece of apparel they wear. Kanye West’s journey with Adidas started on February 14th, 2015 with the release of the Yeezy 750 OG Light Brown. Out of all Adidas Yeezys, this pair is still making the highest profit on the secondary market to date. More than 3 years later, Yeezys are still there. Every year we see more Yeezy releases. This year, for example, we have around 14 Yeezy drops. What happened to Yeezys in the past three years that impacted the loss of hundreds of dollars of what they were originally worth? The prices haven’t changed, the designs are still unique and progressive, and Kanye is still Kanye. So what’s going on with Yeezys? Up until mid-2017, everything was just fine. Adidas and Kanye would drop a Yeezy every once in a while and crowds would mob crazily after them. This was the case with the 750s, 350s, and some of the 350 V2s. 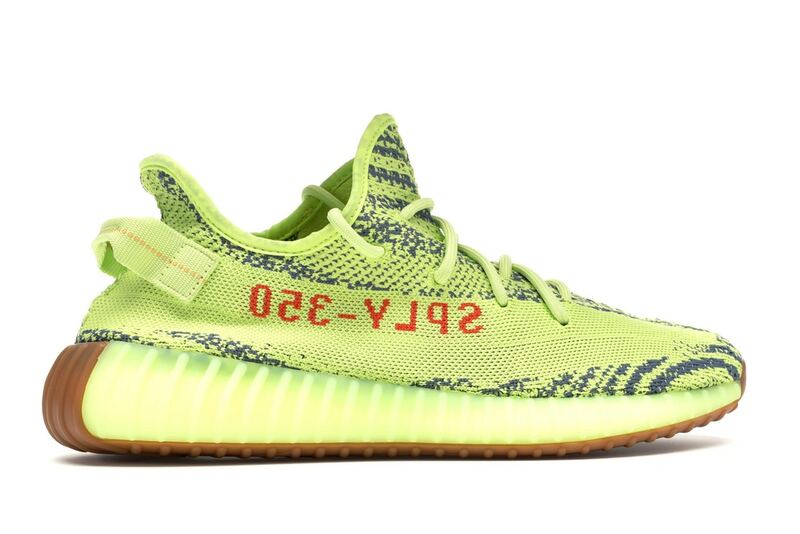 The last Yeezy to be treated like a “Yeezy” was the Semi Frozen Yellow. When demand for any product changes, there are factors that caused that change, or shift. And these demand shifters are the same even in the case of Yeezys. Copping limited edition sneakers, regardless of the quantity available on the market, has never been more difficult. So whether you like it or not, you’ll need to use a sneaker bot, a sneaker server, and sneaker proxies. This combination can cost a lot, add to that the price of the sneaker itself and the delivery/ shipping fees. So a sneakerhead would have to pay up to $1 per proxy and $2 per server per day (average of $60/month). So the cost adds up to a minimum of $287 per pair per release. ِAnds since Adidas and Kanye West are releasing multiple pairs of Yeezys in a period of one month sometimes, this cost could double or triple even. Take for example the upcoming months of September, November, and December. We will have two, three, and then two more Yeezys dropping consecutively. And that’s a lot for a sneakerhead to have to pay for. Especially that profit from reselling Yeezys can barely cover the cost of a release. PS: This cost will skyrocket if you needed to buy a new sneaker bot. A sneaker bot alone could cost you somewhere between $100-$500. Another factor that could kill the demand for a certain product, is future expectations. If a consumer believes he can buy a product at a lower cost, later on, he’ll wait. And this will result in a short-term or a long-term decrease in demand. That’s definitely the case with Yeezys. When they’re first announced, the first few backdoored pairs are usually sold for a much higher price. This makes sneakerheads wait a little, or a lot longer, until the price of that pair decreases, or until a pair that’s less hyped drops. Even in the case of Yeezys dropping in limited quantities, the demand now is still low. This shows that sneakerheads look at Yeezys as a whole entity. They consider all Yeezys equal, so if one will be difficult to cop or will cost a lot on the resale market, they’ll just wait for another less limited and more affordable release. And that’s just what happened with the Yebras. Sneakerheads’ interest in that particular pair, faded when they sensed a higher chance at copping the Beluga 2.0. Kanye is not disappointing them by releasing more Yeezys every year and increasing the stock level of every new drop. So they’ll always find a more accessible alternative. Well, this one is actually very obvious. When consumers lose interest in a certain product, they stop buying it. Now, it’s not like people are no longer interested in Yeezys, but it seems that the designs dropping lately are not really crowd pleasers. Sneakerheads take advantage of the announcement of any new Yeezy to express their need for a new Yeezy 750 colorway. But the Chocolate Yeezy 750 of 2016 was the last we’ve seen of them. So we’d really like to see a new 750 dropping to test our theory. Would it sell for a couple thousand dollars? Or are sneakerheads genuinely indifferent to Yeezys anymore? Long story short, quantity supplied increased big time! Clearly, everyone saw that coming. Kanye always had the intention of making Yeezys available for everyone. “Eventually everybody who wants to get Yeezys will get Yeezys.” These were his words and it’s great that he’s staying true to them. 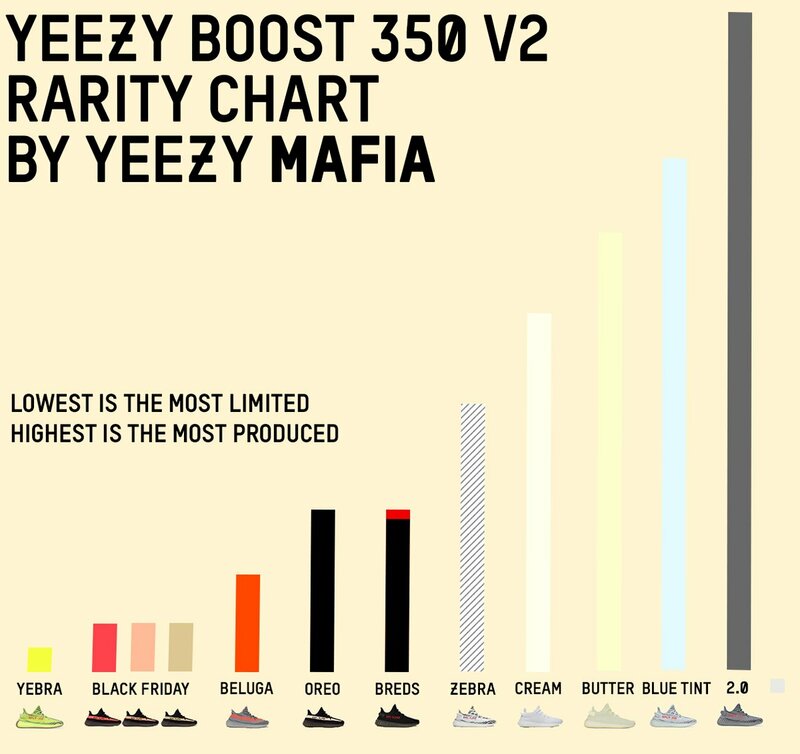 As the Yeezy Mafia’s rarity chart implies, quantities produced of the Yeezy 350 V2s are increasing with time. 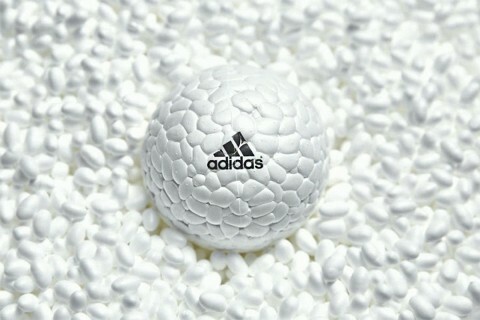 And that’s without showing the millions of pairs of Cream Whites re-releasing soon. So supply is increasing, and we can see that, but it’s the “why” behind this increase we’re most interested in figuring out. Since Yeezys prices are fixed, the only way for Adidas and Kanye to make more profit out of them is to make and sell more pairs. For them, the resale value doesn’t really matter much. As long as all pairs are selling out, which they are. Kanye wanted sneakerheads to get Yeezys at retail and he’s doing exactly that. As more pairs are produced, copping Yeezys is getting relatively easier. So, rather than paying an average of $600 for a pair of V2s, you’d be able to buy them at the original price of $220. In fact, this rumored increase in supply pushed more sneakerheads to sell their Yeezys as long as they still make money. And with all those pairs available for purchase online, competition is only getting worse. But always for the better of the average consumer/ sneakerhead. If you take a look at the tables above, you’ll notice that every line of Yeezys went through some ups and downs. The tables show the resale value of every Adidas Yeezy sneaker when it first released Vs. their current value on the resale market. The only explanation we found for the extremely turbulent nature of Yeezy resale prices was: Kanye. So, we can talk about numbers and economics all we want, but what about Kanye? Doesn’t he have anything to do with this drop in Yeezys’ resale value? Or more, in people losing interest and faith in them? 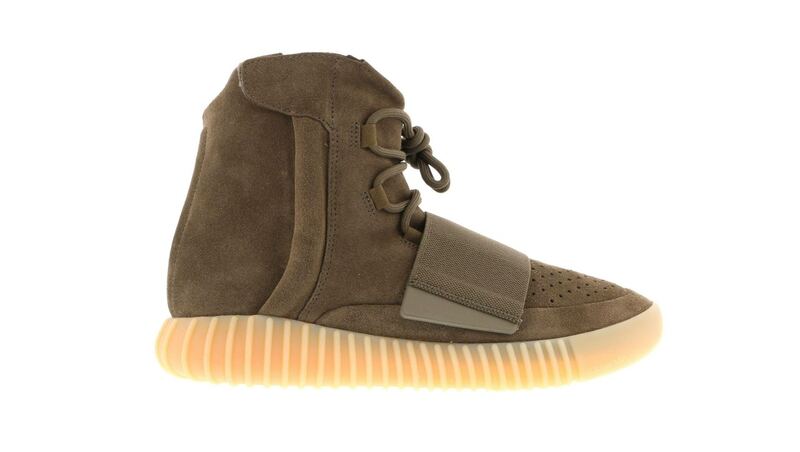 The first major drop of a Yeezy’s resale value happened with the Yeezy 750 Chocolate Brown. Reselling at $1100, back then, when all three precedent 750 releases started with a price over $2200 on StockX. Why? Well, do you remember “I made that B… Famous” clash with Taylor Swift? And all the controversy, scandals, and trash talks that followed? Apparently, this had happened right before the Chocolates were released, and that brought the resale price down to half what it was meant to be. Can’t mess with Swift’s fans. Obviously! The second change in resale value was a good one. Going from a $760 as an initial resale price for the Turtle Doves to a big $1100 for the Moonrocks was impressive. Apparently, that significant increase happened right after Kanye announced he was planning on running for US presidency in 2020.
Who knew his fans were so supportive and that much into politics?! The second flop for Yeezys happened with the Yeezy 350 Pirate Black. Debuting at $830 when the Oxford Tans were sold initially for $1260, that’s a major decrease. Oh! The reason for this one is really interesting! Kanye took to Twitter to announce that he was $53 Million Dollars in personal debt! After that, we got the Black Friday releases. 3 brand new Adidas Yeezy 350 V2 pairs dropped on the same day. Making between $950 and $1100 on the resale market. So one would think the pair looking exactly the same and dropping a couple of weeks later would sell for the same amount. But Kanye had other plans for this Yeezy. Speaking at a concert in San Jose, California, the rapper clearly stated that if he had voted in the 2016 presidential elections, he would’ve voted for Donald Trump. Kanye is no stranger to provocative opinions, but this particular statement clearly didn’t appeal to his fans. So, the Adidas Yeezy 350 V2 Oreo was selling for $710 when first released. That’s $240 less than preceding drops. It’s not Kanye This Time. Probably! The next major drops in resale value were probably due to high stock levels, of the Cream Whites and Beluga 2.0. Well, that’s what we suppose considering the fact that Kanye was keeping a low profile at that time. And another time the stock level had a really major impact on resale was when the Semi Frozen Yellow dropped. Backdoored pairs of what was then the most limited V2 ever sold for $1900. 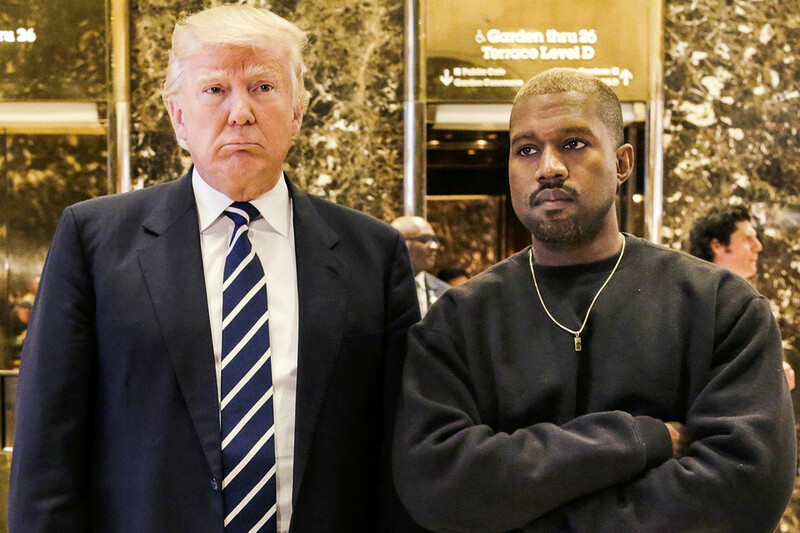 And very recently, Trump and Kanye’s rekindled romance got us all worried. So we’ll wait to see if their mutual respect could bring Yeezys resale value back up or sink it even deeper. So are people demanding fewer Yeezys? Are they over Kanye’s creations? Is the market overflooding with Yeezys? Well, probably not. Yeezys are still selling out, regardless of the stock level. Sure, it may take more time for that to happen, but we’re left with absolutely no pairs, at the end of the day. Plus, Yeezysupply is opening warehouses all around the world to keep up with the high demand. Regarding stock level, well, you can buy any Yeezy you want for retail now. So is that really a bad thing? And this increase is actually long overdue. We’ve been anticipating this growth in stock level for a while now. So why is everyone acting so surprised? What, or who you should probably worry about is Kanye. As long as he’s being the creative artist we respect, all will be ok. But whenever he acts outrageous, things will go downhill. Again! Perhaps what’s really dying is the Yeezy reselling market. Let’s be honest here, Yeezys will not make a fraction of the profit they used to make before. And perhaps it’s time for a change. Rather than selling your Yeezys why don’t you try it once and put them on? You might actually enjoy the way walking with decent sneakers feels. And you probably shouldn’t worry too Much. Adidas seems to have a lot in stock for you to flex and sell to your heart’s content. The new very limited collections of Dragon Ball Z and Game of Thrones will probably make up for any losses you had recently.